Sony has already demoed an early version of the PS4, and the WiiU has been on sale for some time. So what will Microsoft do for this generation of consoles? Supposedly it will be called Xbox 720, but we will have to wait and see if that part is true. 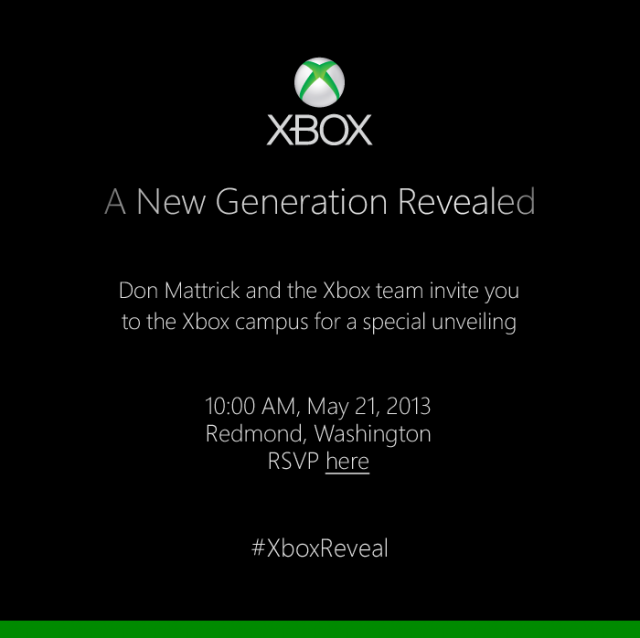 Microsoft has however demoed something that they kept hinting had to do with the next Xbox. Its called IllumiRoom. Using its knowledge of your living room’s colors and geometry, IllumiRoom can create a huge range of visually stunning effects. As you see in the video, IllumiRoom can boost the color saturation of your furniture (by projecting red light on a mahogany cupboard), turn your furniture black and white (by projecting desaturated colors), or outline every edge, creating a cartoony effect. IllumiRoom can also project a star field, snowflakes that gather on your shelves, or a futuristic Tron-like grid. One of the weirdest effects, called radial wobble, takes a photo of your living room, distorts it, and then projects the distorted image — so it looks like your living room is wobbling around. The real magic takes place when games are programmed to take advantage of IllumiRoom, though. 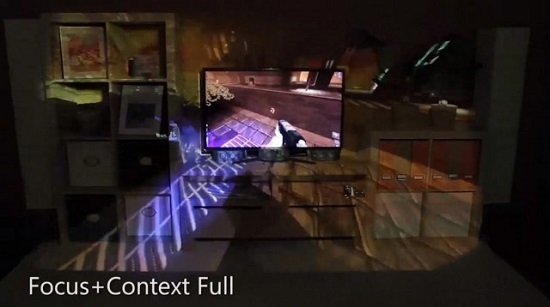 At its most basic, IllumiRoom projects the game world onto the wall/furniture, expanding your field of view; imagine sitting on the couch and having the world of Skyrim take up your entire field of view. Another option is to have IllumiRoom only display important features, such as projectiles and explosions — so instead of a shot missing you, you might see the bullet fly off to your left. Taking this one step further, IllumiRoom also makes it possible for objects — such as grenades — to roll out of the TV and onto the floor in front of your coffee table. All of these effects can be combined — so the next Halo game might have rockets that fly into your peripheral vision, grenades that roll towards you, rain that puddles on the floor, and furniture that ripples whenever you’re struck by a plasma rifle. The same effects can also be used with non-game content; Peter Jackson could release a new version of Lord of the Rings that makes use of IllumiRoom, for example. In total Microsoft has created and tested 11 different effects, which you can read about here. They have shown IllumiRoom to 10 gamers and 15 game designers, both reacted positively to the idea. 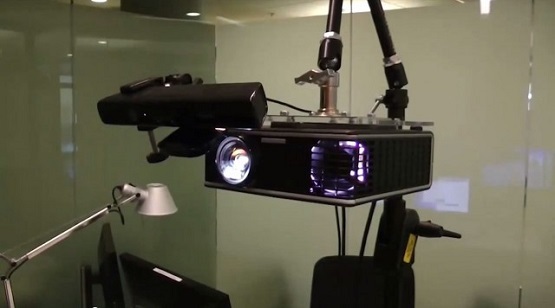 The first time we saw Microsoft IllumiRoom was at the CES, in cooperation with Samsung. That seems pretty nice, it will be interesting to see what they come up with for this. Probably they will use this and build on the Kinect idea further. It sure seem like the new Xbox might be the most interesting console so far. And can you believe its being unveiled so soon?